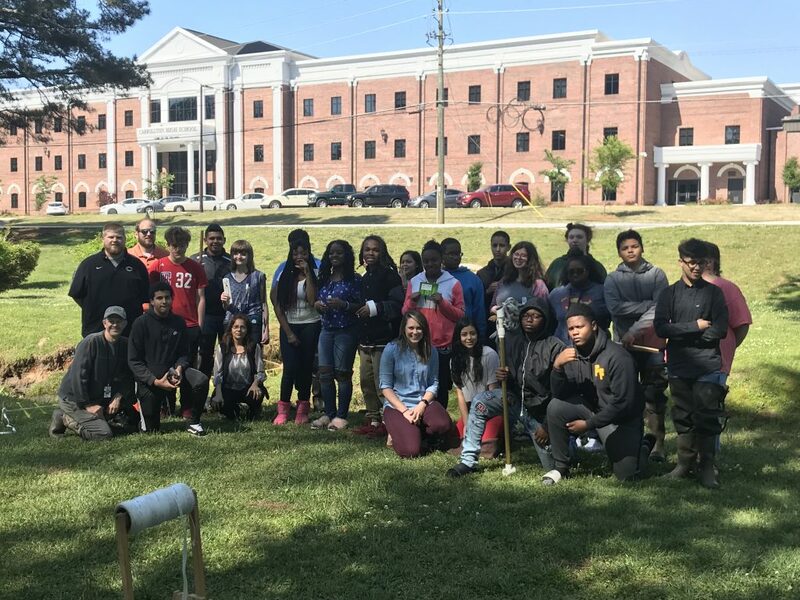 CSBi owner, Scott Britton, introduced the idea to the school district and has worked closely with them to develop awareness of career options in the specialized field of stream restoration. His goal was to expose students to career interests in this field, while developing a passion for natural channel design. 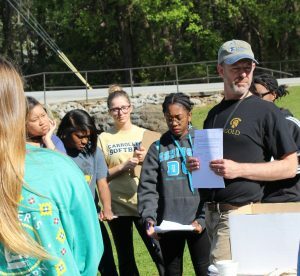 Carrollton City Schools has the unique ability to get students outside the classroom and into the creek. Buffalo Creek runs directly through the middle of campus. This outdoor environment gives students the exposure to develop skills through a direct approach. These skills will certainly be advantageous in regards to the future employment opportunities in this field of study. An integral part in helping the school enhance their science curriculum has been the involvement of the teachers. In February, CSBi funded four teachers from Carrollton City Schools to attend the Wildland Hydrology Level 1 class in Asheville, NC. This course was led by Dave Rosgen PhD, PH. Mr. Rosgen is the leader in the field of environmental science. Because of this training, teachers returned with a new sense of enthusiasm which proved contagious to the students. Teacher involvement in the development of a new curriculum will be an integral component to the success of this effort. A key component to furthering this curriculum is the commitment made by CSBi to provide grant funding to Carrollton City Schools. Due to this commitment, teachers have the opportunity to apply for project funds which will bring their students directly to the “living classroom” on campus. Another integral component is the involvement of the University of West Georgia with this grant program. The collaboration on curriculum design and development will lead to teacher involvement in professional learning sessions. Funding for teacher involvement will be provided through stipend awards funded through this grant program. CSBi is proud to promote this program and invest in the educational development of our local students.